A rare chance to own a Chinese-Western Fusion restaurant and bring it to even greater heights. 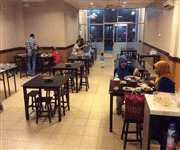 Many good reviews on their food with unique setup and location. Achievable minimum 30k monthly profit, Well-loved by its regulars, the restaurant has developed a strong client base and expanded to one overseas franchise and a recently opened concept express kiosk in 2018. Spacious Kitchen and dining area with 1989 sqft and bar with beer on tap, newly renovated. 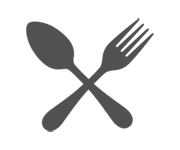 - Takeover inclusive of all kitchen equipment and fully furbished restaurant. - Takeover with existing staffs and chef. *Full list of Equipment will be provided to sincere buyers. Began operations in 2013, the casual dining restaurant has been well sought after by their regulars and foodies. The restaurant has been in the limelight, in Straits Times, New York Times, I weekly, and even featured in the 2017 Michelin guide. In addition to this outlet, it also has 2 other in operation. One in Manila, an overseas franchise and another, an express kiosk concept in Singapore. Why is this restaurant highly sought after? Specially crafted culinary experience that combines Chinese and European cuisine that attracts old and young alike. Owner had to relocate and it is a waste to let go of this popular brand. Selling Price inclusive of franchise rights, rights to the brand name, newly renovated interior and fully equipped kitchen, social media, shares to the new kiosk and website. Ready to start business as it is, upon takeover! Suitable for buyers ready to expand its branding and bring it to even greater heights!